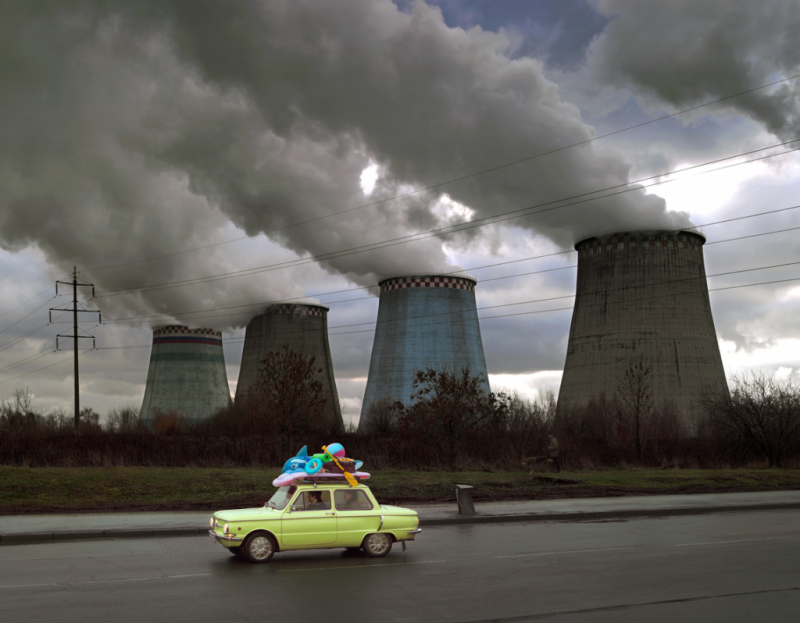 An old soviet car “Saporoshez” driving through the Moscow suburbs to the beach, in the background an electrical power plant. In Russia and especially in Moscow I like this kind of strong contrasts. Whenever I discover such places , I am looking for stories in it. Mostly it is a kind of surreal, but very important for me is the authentique touch. Little theatre, comical creations full of surprises, strange collection of objects, entities and things: the mystery and juxtapositions blur and blend the lines of the composition. Emerging out if these fabricated fantasies are elements of mystery, which draw in the viewer and engage the imagination. Clorinde Bloc, wanted gallery, Paris 1979 born in Leipzig / GDR , 2000-2005 HfBK Art School Hamburg / Germany, 2004 scholar ship London, UK , since 2006 freelance and art photographer in Moscow and Berlin.